With National BBQ Week running from the 28th May to 3rd June, the race is on to be crowned King of the BBQ. 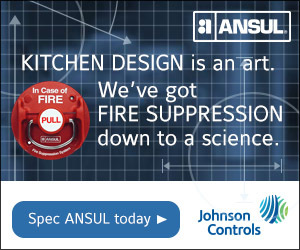 So what better time to take on some new and unique recipes that are guaranteed to have your guests’ mouths watering. Snowdonia Cheese Company has launched its latest Smokin’ Snowdonia campaign designed to showcase the best ways to add cheese to a range of BBQ dishes. So whether it’s cheese melting in the middle of a burger, smothered on top of a healthy salad or used to really impress your guests with homemade dips and sauces; you’ll be the king of cool this BBQ season with this unique selection of cheese recipes. Ah, the classic burger – loved by all and a real hero on the BBQ. But for 2018, it’s no longer less is more. More is more and extra toppings go along way. 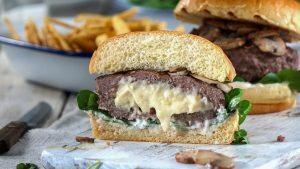 So why not really up the ante and impress your guests with this Black Bomber surprise burger topped with garlic mushrooms. Its extra mature cheddar melted centre adds the perfect amount of surprise, while the garlic mushroom topping promises to pack plenty of punch. Take a burger and spread out with your fingers, place a chunk of Black Bomber into the middle and firmly press the meat around the cheese, using some extra meat if required to totally cover the cheese. Place the burger on a bun with mayonnaise and salad leaves as required, top the burger with the mushrooms. So delicious, it won’t just be the vegetarians at the BBQ queuing for a bite. This tantalizing Snowdonia Cheese Red Devil topped burger promises plenty of punch. 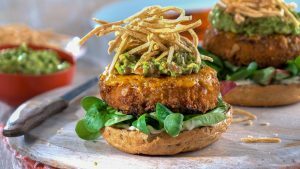 The tingling hot chilli hint of Red Devil is perfectly complemented by the guacamole and crispy tortilla strips to give a BBQ burger with an eclectic Mexican twist. Roll and slice the tortilla into strips and pan fry until golden brown. Remove from the heat, pat dry and allow to cool. Add a generous spoon of guacamole and top with the crispy tortilla strips. Serve on a burger bun with mayonnaise and fresh salad leaves as required. 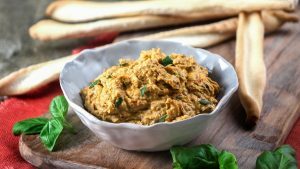 For a great alternative to hummus, why not whip up your own homemade dip to give your guests the perfect appetizer to graze on while the BBQ heats up. This Snowdonia Cheese Red Devil, roasted tomato and basil dip allows the chilli hint of the cheese to really shine through, creating a dip guaranteed to have guests asking for the recipe. Roughly chop the tomatoes and onion and place with all other ingredients (except the cheese and basil) in a bowl. Mix together and then place on a baking tray in the oven and roast or 15mins or until soft and lightly brown. Leave to cool. Crumble the Red Devil into chunks. Add the roasted mix to a food processor with the cheese and fresh basil. Blend until smooth and have achieved a thick consistency. 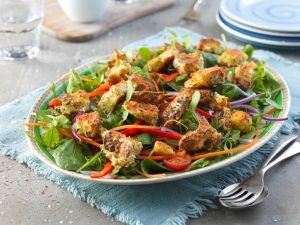 Spruce up your summer salads with Snowdonia Cheese Company’s super-simple to make, herby crouton recipe. Made with creamy and smooth Black Bomber extra mature cheddar, these chunky bites promise lots of flavour and plenty of crunch. Break up the Black Bomber and blend with the olive oil until smooth in a food processor or a stick blender. Cut the bread into 2cm chunks and place in a large bowl. Add the cheese mixture to the bread chunks and add the rest of the ingredients. Mix by hand until the chunks are evenly coated. Place on a large baking tray and bake in the oven for 20minutes until lightly brown and crispy.